Cyprus police say 47 Syrian migrants have arrived by boat to the east Mediterranean island nation after setting sail from Turkey. Police say the migrants including two women and two children were dropped off Wednesday on a remote beach on the island’s northwestern coastline. The boat then departed, evading Cypriot authorities. Police said the migrants were transported to a reception center on the outskirts of the capital. They have expressed their intention to apply for political asylum. The Cyprus government says the tiny country of 1.1 million people is barely coping with sharp increase in asylum applications from arriving migrants. Two men have been convicted and sentenced to eight years in prison for smuggling Albanian migrants into Britain across the choppy English Channel in a small inflatable boat. Kent Police said 32-year-old Feim Vata and 24-year-old Xhemal Baco were sentenced at Canterbury Crown Court on Wednesday for conspiracy to assist unlawful immigration. Police say they used “extremely unsuitable and overloaded” boats for the operation. The men were arrested on Oct. 20 after Baco was seen picking up six Albanian migrants in France and taking them across the English Channel to Britain. Det. Insp. Clair Trueman said the migrants were cold and wet and had traveled across a busy shipping lane in total darkness without life jackets or navigation equipment. Spain’s Civil Guard says the bodies of a woman and a man have separately washed up over the past 24 hours on beaches in the southern province of Cadiz. The body of a woman apparently from Sub-Saharan Africa was found on a beach near Vejer de la Frontera on Tuesday afternoon, not far from the remains of an inflatable boat. An adolescent who claimed to be a survivor of the wreck told civil guard officers that nine people were traveling in the boat. Separately, the law-enforcement agency recovered a male body Wednesday morning around 80 kilometers (50 miles) northwest along the coast, in Chipiona. Another wreck in the area earlier this month killed 23 migrants. Nearly 57,000 migrants have reached Spain this year, most of them by sea via the increasingly popular Western Mediterranean route. A top European Union official says Romania’s government has agreed to back EU reforms to overhaul the bloc’s migration system. 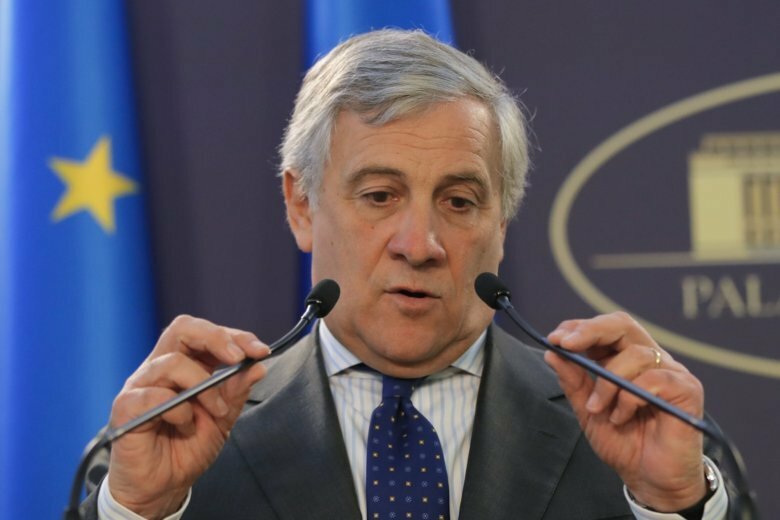 European Parliament President Antonio Tajani said Wednesday that Romanian Premier Viorica Dancila had promised to support seven proposals on migration that would reform the Dublin Regulation, the EU’s current asylum system. Romania’s support is important as it assumes the EU’s rotating presidency on Jan. 1.